Oil fell to the lowest in more than two months on signs of surging US supply and speculation that American sanctions against Iran won’t succeed in reducing exports to zero. Futures in New York dropped as much as 1%, after falling 1.3% on Wednesday. 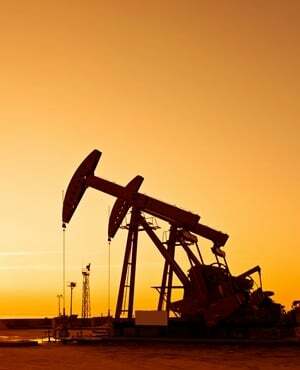 US crude inventories rose for a sixth week, while Russia was said to raise oil output to a post-Soviet record. The supply surge comes just as concern eases around a halt of exports from Iran, with oil buyers India and South Korea said to agree with the US on the outline of waivers. Oil slid 11% last month, the most since July 2016, as an equity rout and trade tensions between the US and China stoked concerns over economic growth. Still, the Organization of Petroleum Exporting Countries and its allies are sending mixed signals on whether they’ll boost output to fill any shortfall from the return of sanctions on Iran next week, heightening uncertainty. West Texas Intermediate for December delivery fell as much as 66 cents to $64.65 a barrel on the New York Mercantile Exchange, the lowest since August 16, and was at $64.85 as of 10:50 London time. The contract declined 3.4% in the past three sessions. Total volume traded on Thursday was in line with the 100-day average. Brent for January settlement fell 67 cents to $74.37 a barrel on the London-based ICE Futures Europe exchange, and traded at a $9.35 premium to WTI for the same month. The December contract dropped 44 cents to $75.47 before expiring on Wednesday. The US signaled on Wednesday that some countries may continue importing Iranian crude after sanctions enter into full force on November 5. Several nations “may not be able to go all the way to zero” right away on purchases, said White House National Security Adviser John Bolton. America wants to put maximum pressure on Iran, but doesn’t “want to hurt friends,” he said. Adding to bearishness are rising supplies in the US and elsewhere. America’s stockpiles climbed by 3.22 million barrels last week in the longest streak of gains since March 2017, government data showed on Wednesday. A rally in the dollar has also diminished the appeal of commodities priced in the currency, with the Bloomberg Dollar Spot Index rising 2.3% in October, the biggest monthly gain since November 2016.